He didn't start slow at all though, he scored the winner late against Fiorentina and his very first match and Juve's first of the season- which is a big deal. He put together the best season as a Juve forward in the last 10 years probably. He scored incredible goals, and is the main reason we retained the Serie A title and won the Coppa Italia. This "not in shape" stuff is just for the pundits and the memers who have nothing better to do. Higuain played every game in Serie A and made 55 appearances in the season. His effort was immense this season and he was worth every dollar per kilogram that was spent. He got his poacher goals because that's what he does... but he couldn't start games at the beginning due to his physical fitness. Check the game logs Luca. Tevez had a much better and more complete season in his last season at Juve imo. Was great. Juve wasn't that great from 2007 until the Conte years... so yeah he was the best striker after Tevez imo. And Benzema is no more a difference-maker than Higuain at this stage. He was at Lyon... but those days are long long gone. I don't think he plans on trying to be either lol. So this "game changer" argument goes for both. They're very good strikers and very good team players.... types that every championship caliber team needs. But you need a superstar or two to put you over the top and neither is the type. We handled Dybala the same way when we signed him the season before. Allegri takes his time integrating players but I feel you're reading a bit too much into this. He also joined at the end of July which is only 2 weeks of preparation with the team. He DID look overweight when he joined but it never really slowed him down, no pun intended. It doesn't take away from a great season in any case. And he did score some very quality goals this season, he was our most important signing and attacker. Anyways, regardless if he comes into next season in terrible form then he'll get the flack he deserves. @sportsczy wrote: And Benzema is no more a difference-maker than Higuain at this stage. He was at Lyon... but those days are long long gone. I don't think he plans on trying to be either lol. Seriously shut up about benzema you have no clue what he wants to be, all I read is nonsense speculation posts when the fact of the matter benzema gets no freaking service, never seen a more cowardly fanbase can't even speak a little truth, cause the guy ain't popular with Spanish media(media overall), casuals and posers, everybody and their grandmother knows cf needs service, every time he is denied even the easiest pass people wanna write trash like this, instead of speaking simple truths about a game the entire world just watched, this forum is turning into a joke. if benzema doesn't want to be a game change why does he sprint from the halfway line? just to get a closer look at cr, bale, isco,modric,Marcelo and casemiro all taking shots before passing to him? 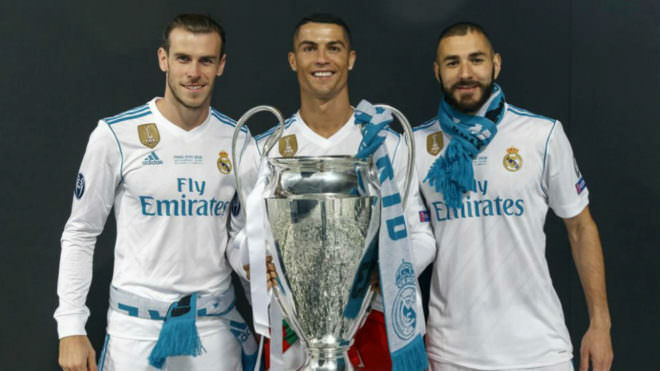 Everything I been saying happen in the finals and I'm still reading these stupid posts, benzema scoring is not a priority for the team its always been that way(cr duh), why can't people admit that stop trying this ridiculous psychology bs, you have never spoken to benzema in your life you don't know what his expectation are, idk how you keep writing these ridiculous posts like you know something. iirc both benz and higuain has broad bone structure. they "looked" fat at times when in madrid but they weren't actually fat. genetics is a funny thing. though when he first joined juve he did seem slightly fatter than usual. If Benzema scores 2 goals against PSG, sure. Hes still the same old, clinical at times, but at the big moments he always chokes. Im depress for the Argentina NT more and for Messi especially Fuk I just hope he doesnt fuk up in the WC again and cost Messi another WC. Qué fácil es hablar después del partido desde el sillón de casa en gol legado. Hasta el 2-0 todo era perfecto, después del 2-2 cambian todas las opiniones. A nosotros no nos interesa y vamos a Londres a clasificarnos. 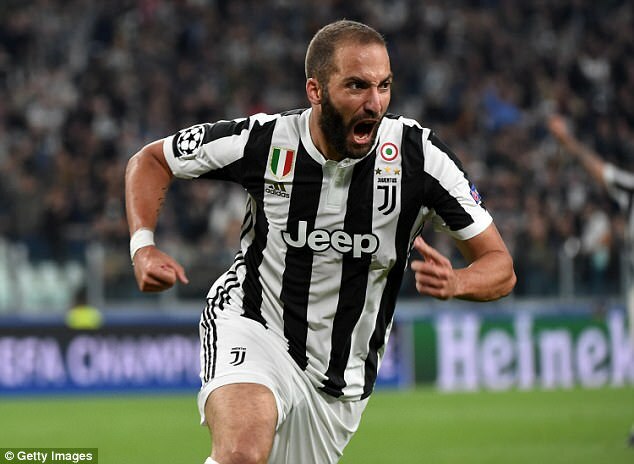 Un abrazo a todos aquellos que quieren el bien de la Juventus", escribió Higuaín en su cuenta de Instagram. Good morning. How easy it is to speak after the game from the couch at home. Until the 2-0 everything was perfect, after the 2-2 opinions change, we are not interested and we are going to london to qualify. A hug to all those who want good for Juve. Gotta love a footballer's ego sometimes. 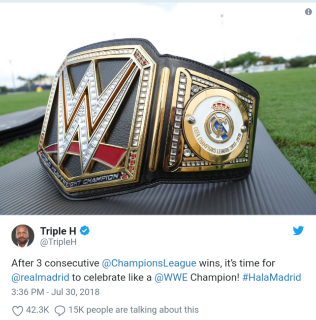 They do enjoy the praise but when it comes to criticisms, all of a sudden, I'm on a couch and knows nothing about football. That being said, a certain Frenchman would love if he had those 2 goals he scored. Higgy has had his fair share of criticism, tbf. I'm as big a critic as any... but that was not an easy take.